What can I say about these three? I'll tell you one thing--I wouldn't kick 'em off my shelves, if you know what I mean. I love the color combinations in each one and I love how they each quite literally depict a different way of coming together between two people. Though, if pressed, I will admit to the middle one being my favorite. It's just too cute, what with the library tryst atop one of those old school library stools. Now this one sounds like the kind of science fiction I used to eat up in junior high. Reminds me of some of my early Piers Anthony forays and those are good memories, my friends. In this one, people are freezing themselves and sailing away into the future, to be awoken hundreds of years later in a new land. For Amy, naturally, things don't go precisely according to plan. Danger and romance ensue. Due out January 11th. I have to say I'm in love with the title as well as the cover art. And I've been meaning to read Wing Smith's first book for awhile now, but I will definitely be picking this sophomore novel up. Not only because it involves road trips, Barry Manilow, and schemes to get ex-boyfriends back. But because I've heard her writing is something to behold. Who could ask for anything more? Due out April 28th. This is actually out now and it is a sequel to Morrison's previous novel Taken By Storm . I've not read it as the original cover was horrendous and it didn't really look to be my thing, though reviews do seem to be generally favorable. I may wait to see how this follow-up fares before diving in, but I'm intrigued. And that cover really is lovely. They repackaged the first to match and I'm liking the the new look quite a bit. Emily's writing IS something to behold! Her first book touched me so deeply that it was impossible for me to give it a star rating. I love it. The second one gets my vote too, for the same reasons. Love the pastel colours and slight cartoon-ness of it. wow! i concur what emily said, ther titles just makes me want to read it! and the cover for Unbroken Connection is so so nice! love the colours and the tones they've used. 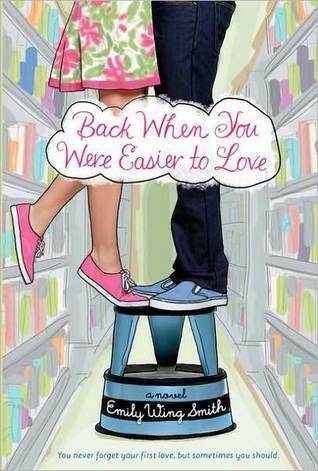 Oh, I've been trying to find out what Back When You Were Easier to Love is about because I love the title so much. It's great to know what people are saying about her writing. Now I'll definitely put it on my list. I agree! The graphic feel and bright colors make the Emily Wing Smith really stand out. I'm with you on the middle one, it looks so pretty! That's the kind of book that you buy based on the strength of its cover and title. Oh I cannot WAIT for Beth Revis's book. I wish there was more YA sci-fi. The cover is so pretty too. Enna, WOW. That's high praise indeed. Emily, exactly. It all comes together so nicely. Charlie, yes! The cartoon-ness of it is so whimsical and fun. Carla, I do, too. That's why I'm considering reading the first one. Because I am fickle that way. Karen, yes! I'm feeling excited about it now. Holly, I knew you'd like that one. Can't wait to read it. Chachic, exactly. It just calls out to be read. 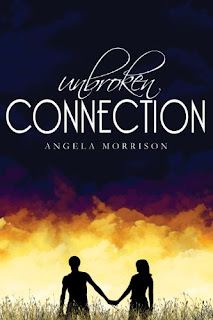 I loved Taken by Storm and can't wait to get my hands on Unbroken Connection. Oooh, I'm absolutely salivating over Back When You Were Easier To Love! The cover and title are so adorable. April 28 is so long to wait, though -- ack! Adding it to my wishlist! Suey, oh, wow. That is good to hear. I am going to pick it up much sooner knowing you loved it! Back When You Were Easier to Love looks great and I'm quite interested to see how Across the Universe is. There are some great titles coming out this winter and spring!